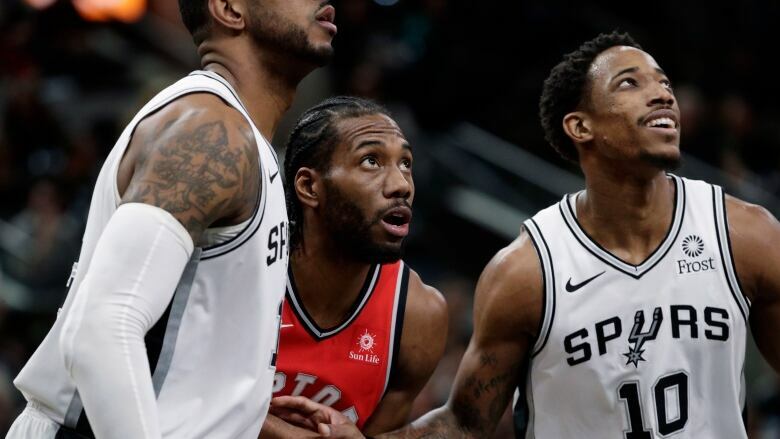 DeMar DeRozan had his first career triple-double with 21 points, 14 rebounds and 11 assists and the San Antonio Spurs welcomed back Kawhi Leonard with thunderous jeers in a 125-107 victory over the Toronto Raptors on Thursday night. The Spurs' suffocating defence, scoring runs and fans' unrelenting contempt for the opposing team's star player have often overwhelmed the opposition. Fans were angry that Leonard forced his way out of San Antonio this off-season in a trade that yielded DeRozan and Jakob Poeltl from Toronto for him and Danny Green. "Yeah it was a different kind of game, it was more of a playoff atmosphere, but that's what we live for," Gay said. "It's the NBA, you're going to have times like this, those are times you have to step up." DeRozan's 10th assist came on an entry to Aldridge that the Spurs centre punctuated with a celebration in honour of his teammate's career milestone. "He was in high gear tonight," Toronto coach Nick Nurse said. "He was in his fast, athletic gear tonight and when he's in that gear, he's tough to handle, as we all know." "We didn't do a good job in transition, defence," Leonard said. "We didn't play well at all defensively. Spurs did a great job pushing the pace and kicking out for wide-open shots."